Addressing local needs is crucial to the Trust’s vision of sustainable regeneration. Since their refurbishment by Birmingham Conservation Trust in 1995, this row grade II listed 18th and 19th century cottages have been sought after as homes for local families. Once blighted by road plans, their demolition is now unthinkable. Station Road was known as Sheep Street up until the later part of the 19th century as much of the area was farm land. It is thought that the cottages were originally a 17C barn which was converted into housing in the 18C and were given their brick exterior at that time, however some of the original timbers remain exposed on the west side of the building. 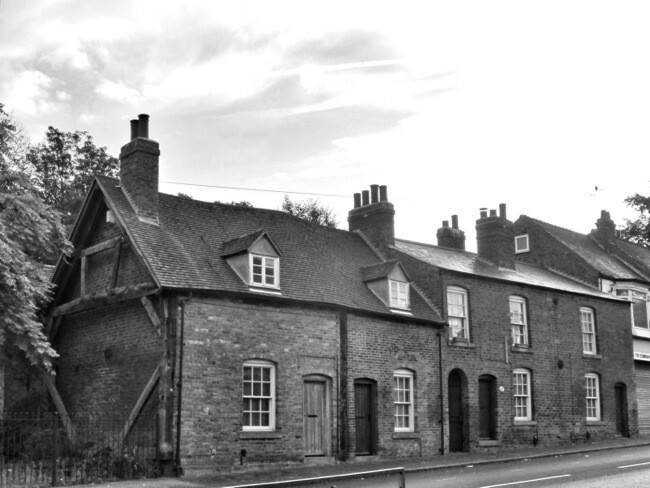 Below is a picture of the cottages before conservation work began.